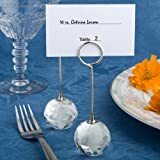 Save on Place Cards & Place Card Holders at Doctor Joe Says, Page 4. Top brands include Fashioncraft, Kateaspen, & Kate Aspen. Hurry! Limited time offers. Offers valid only while supplies last.